Kalaw has an architectural appeal – it's a grand design, with rounded edges and a flared base. Because each piece – bistro table and two stools – is crafted as one solid block, it'll instantly become your garden's focal point. 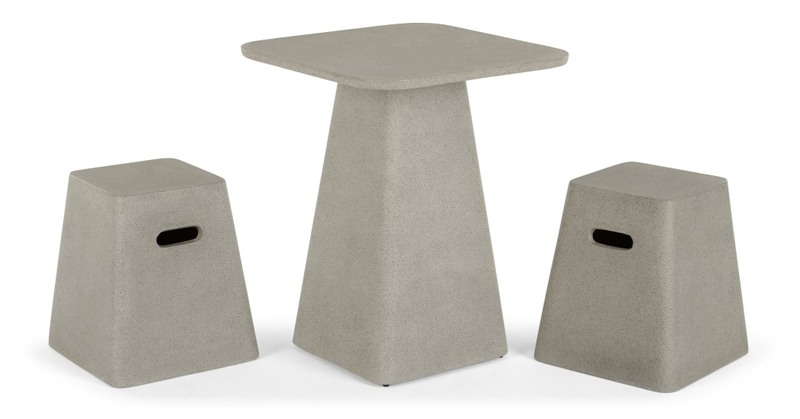 Made from a mix of Cement and fibre glass to offer a Hard-wearing yet light weight design feature for your garden. Due to the nature of this material the finish may vary.